Elections for SOA Officers and Council are held each spring. 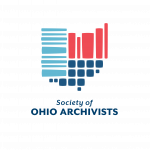 Candidate statements are included in the spring issue of the Ohio Archivist. To see a list of all former officers please take look at our SOA Officer and Council Member List.